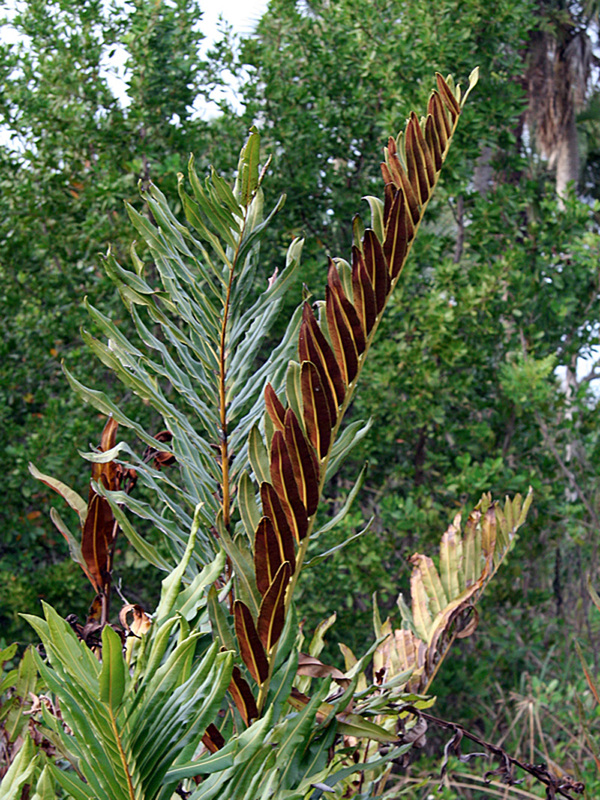 Giant leather fern (Acrostichum danaeifolium) is said to be the largest fern in North America. 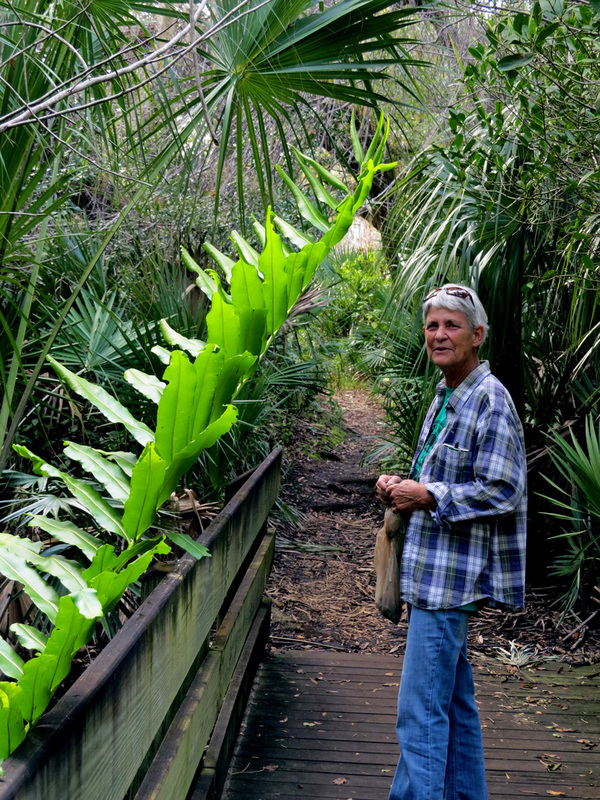 Diane Larue (Class of 2012) provides scale to a new, soft and succulent frond at a wetland crossover bridge at the Oslo Riverfront Conservation Area. This fern grows in freshwater and not-so-freshwater settings. 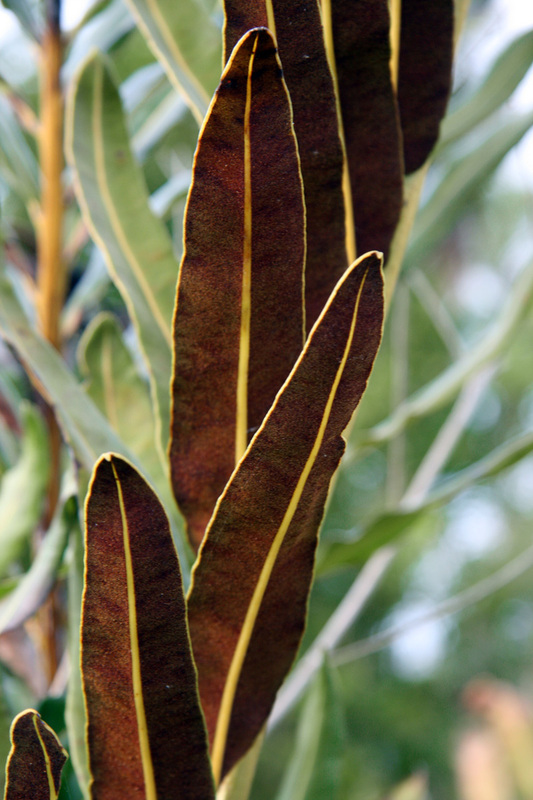 This primitive looking plant grows in sun or shade. This fern, as well as white indigo berry, are among the native plants incorporated in the Audubon House landscape.